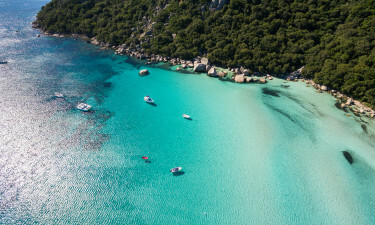 Corsica is a tropical French island in the Mediterranean Sea that offers high-quality luxury camping sites. For further information regarding a camping holiday here, please consult with a representative at Lux-Camp. As the climate here is accommodating throughout the year, weather will rarely play a role. This is also reflected in the warm waters that surround the island. Having been inhabited since the Roman times, many architectural influences can be experienced here. A rich history involving the banishment of Napoleon has also played an important role in its modern popularity. Finally, a natural park known as Parc Naturel Regional de Course is a prominent feature. Why Should I Choose a Luxury Camping Site in Corsica? Marina D'erba Rossa offers camping luxury in style. An on-site restaurant and a large animal park are two amenities for the entire family to enjoy. It is located quite close to the beach, so swimming in natural water is a possibility as well. Camping Merendella offers holiday camping at affordable prices. Still, visitors can enjoy 220 pitches, waste disposal facilities, restaurants and washing cubicles. Sports including table tennis, sailing and swimming are likewise found here. Sole di Sari offers the ability to rent mobile homes. However, luxury tents and bungalow tents are not available. Food provision facilities are located within this holiday camping site and a focus upon ecotourism is perfect for those who wish to experience nature in all of its glory. Anyone looking for the perfect place to stay in the south of Corsica is sure to love this luxury camping site. Acqua e Sole offers guests an excellent range of amenities to make use of set in a large and lush garden, while the beautiful beaches of this area are just a short stroll away. Corsica offers some truly amazing beaches. Campomoro, Cupabia, Roccapinu and Ostriconi are but a few examples. Sands range from coarse to fine and many are found in tranquil locations. 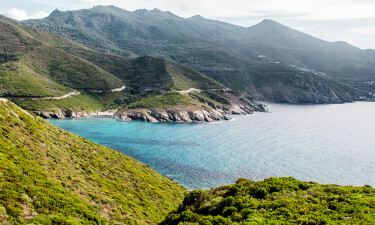 Corsica also offers splendid panoramic views from its inland mountain range and even species such as red deer can be observed within its large natural park. 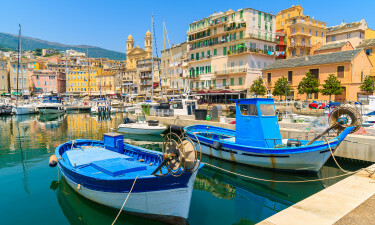 Besides the luxury camping found here, Corsica offers several notable attractions. 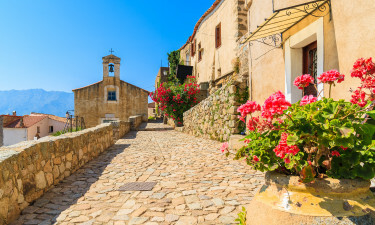 Visitors can experience the nearby Lavezzi Islands, a museum known as Musee Fesch, the waterfalls of Taravo and the Gothic-style Calvi Cathedral. Sports fans will enjoy the nearby Armand Cesari Stadium to watch a football game during their stay. The Corsican diet is rich in meats and fish. Both freshwater and saltwater varieties of marine life are featured prominently within the cuisine. However, local specialties such as wild boar are also favourites. A cheese known as brocciu is found within many meals. While Corsica itself is not known for wine, many spirits similar to those in France can be enjoyed here. The Mediterranean lifestyle of Corsicans is very laid back and the people are generally friendly. They can be quite religious and as they appreciate that tourism is important, expect to be welcomed upon your arrival.